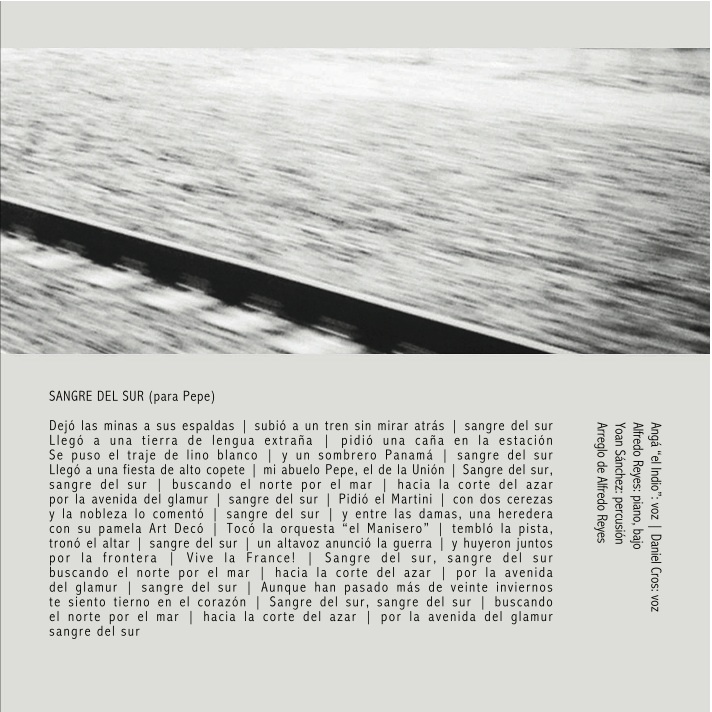 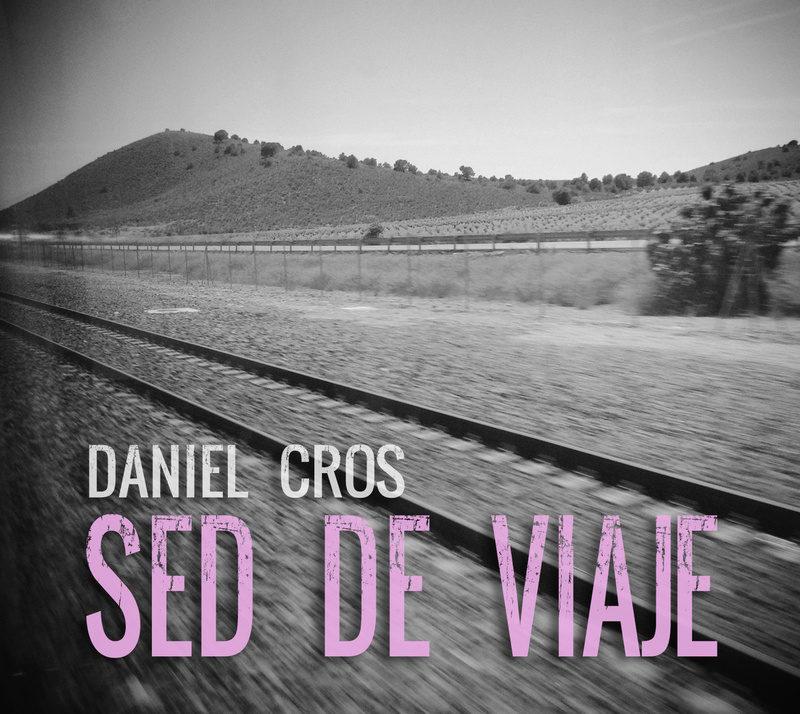 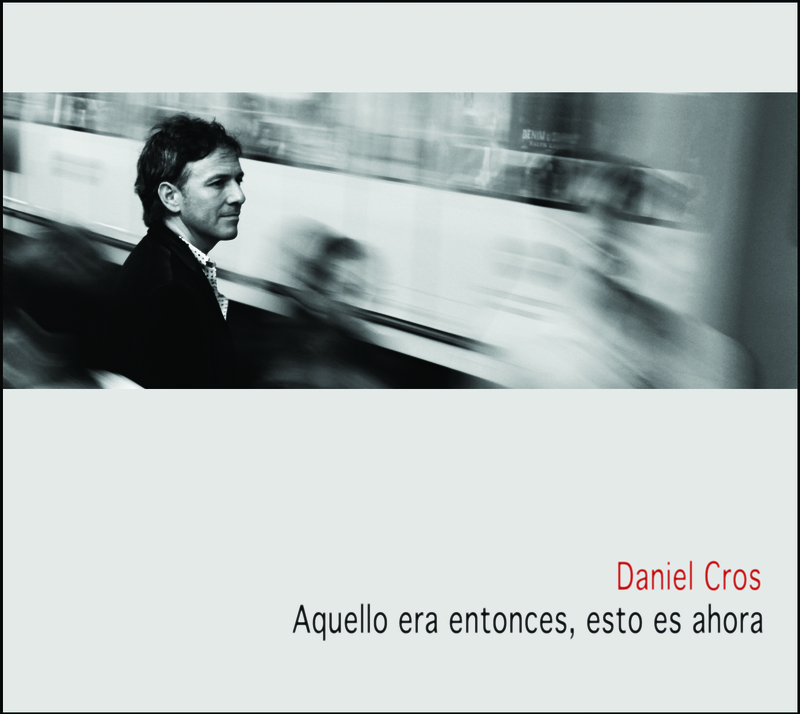 'Aquello era entonces, esto es ahora' (That was then, this is now) is Daniel Cros's seventh album. 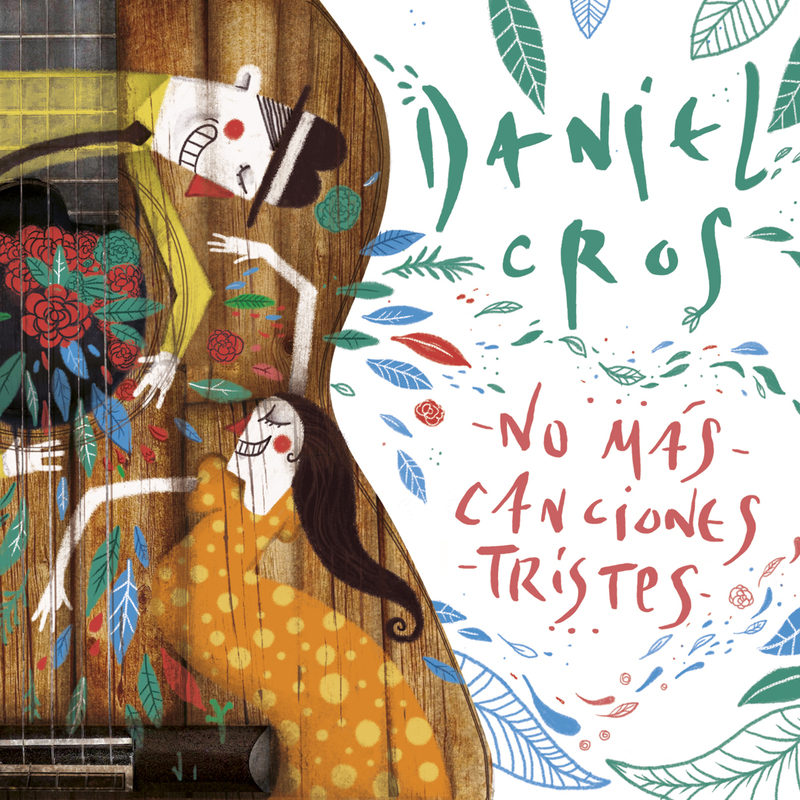 After touring Mexico and showcasing at the Feria de Musica in Guadalajara, Daniel entered into the studio to record 11 new songs combining Spanish rhythms such as rumba and pasodoble with caribbean rhythms such as cha cha cha and son which he learned in Havana, spiced up by sometimes funny, sometimes deeply emotional strong lyrics. 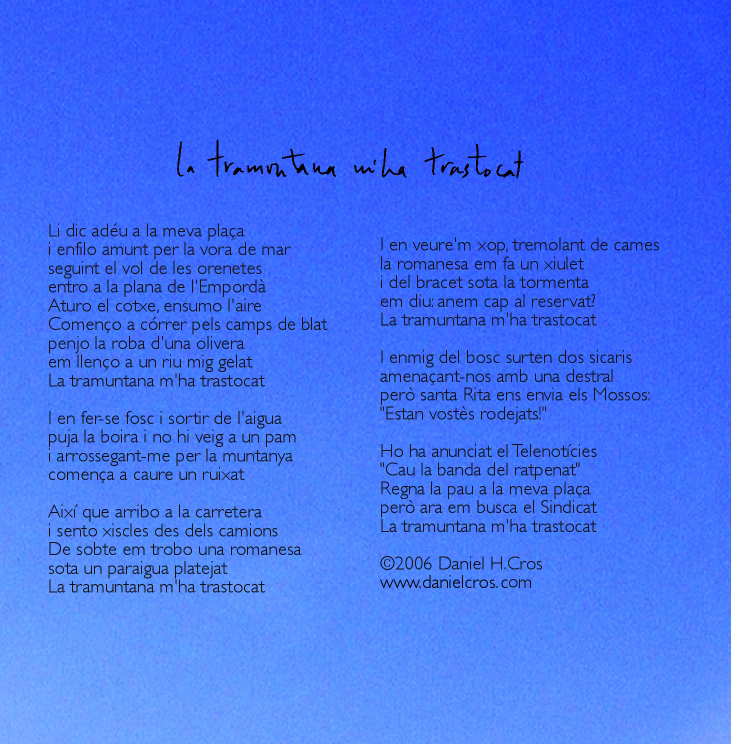 A unique Barcelonean Chansonier. 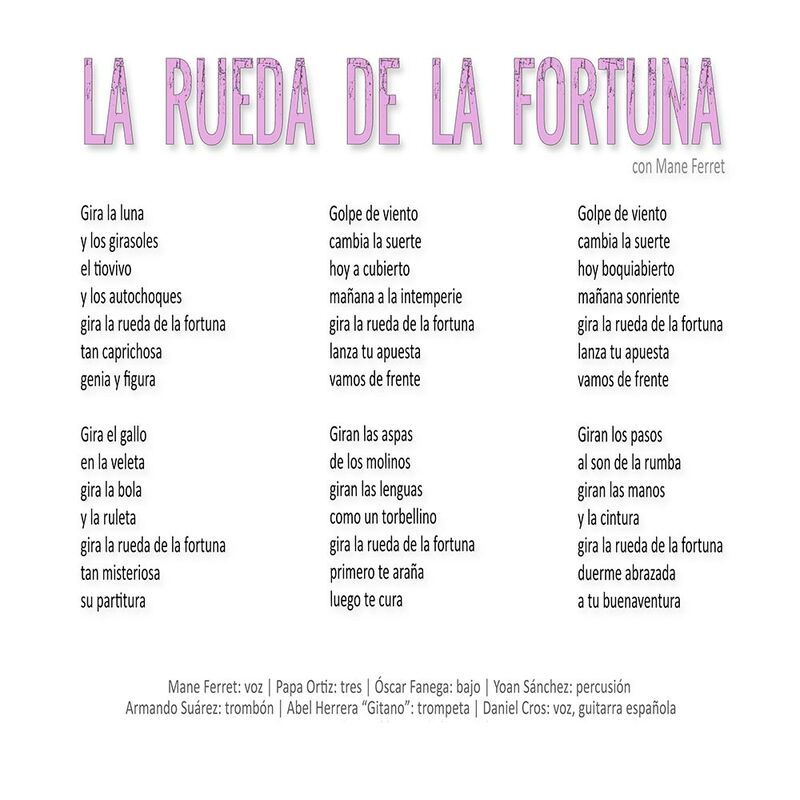 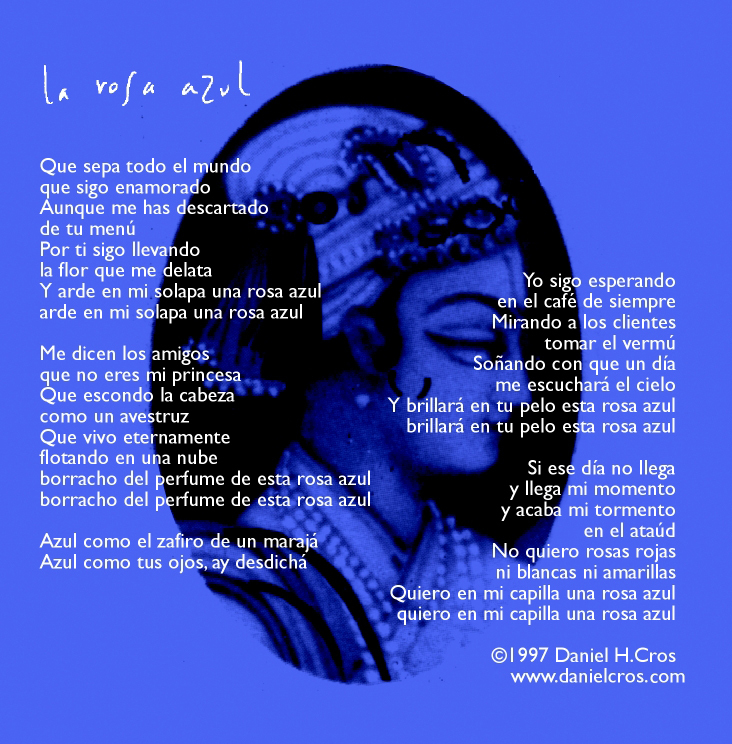 "Las vueltas que da la vida" joins a selection of 12 songs that represent 12 key moments in the artist's career, songs which he has re-recorded at Rosazul studio with his quartet. 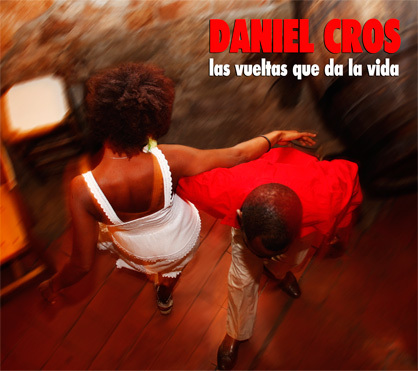 His percussion studios in Havana, studies on songwriting in the US, his meeting with La Vieja Trova Santiaguera and his work with cuban musicians in Barcelona are some of this moments that illustrate the chosen songs. 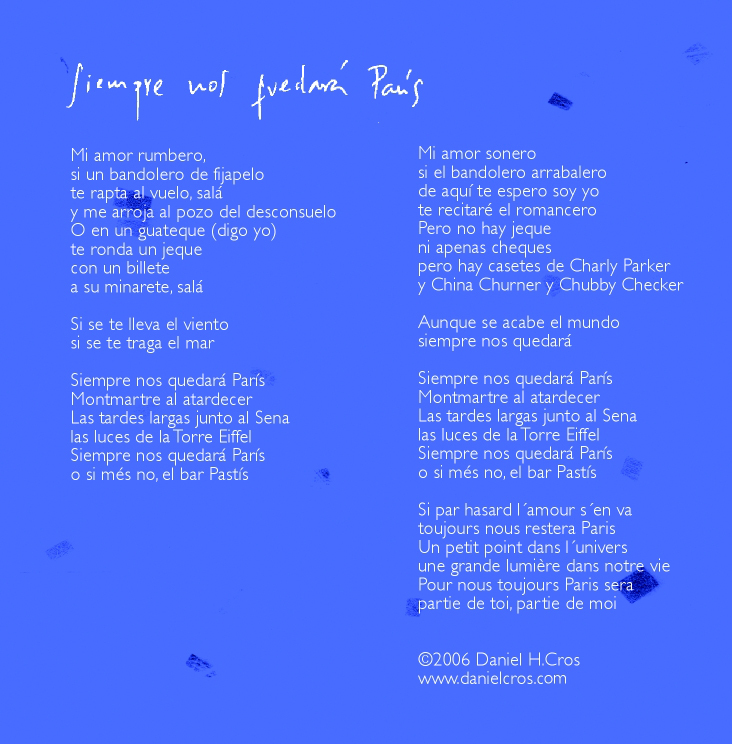 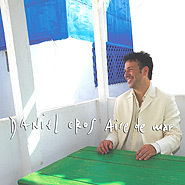 "Aire de Mar" is Daniel Cros' 4th album, where he is accompanied by a magnificient quintet of Cuban musicians. 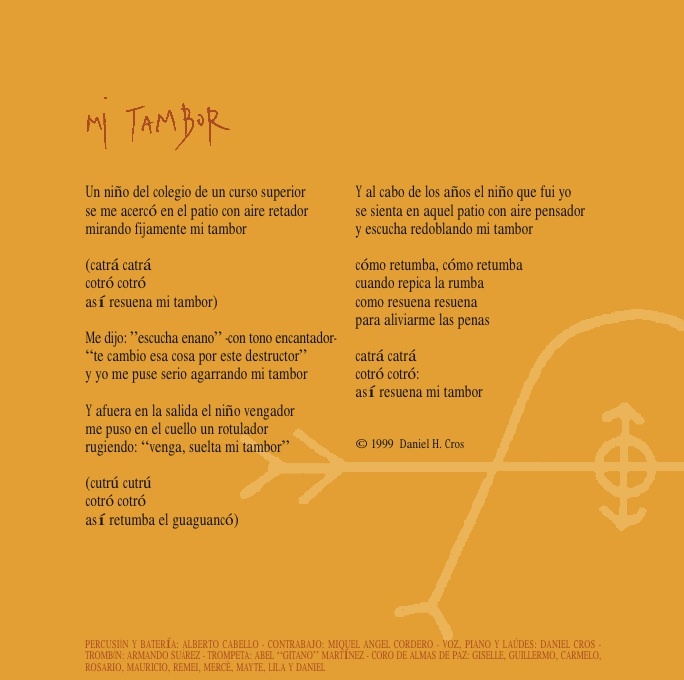 The songs are based on Afro- Latin rythms such as guaguancó, merengue, danzon, cha-cha, bolero and tango, following their original pattern and complemented with jazz improvisation touches. 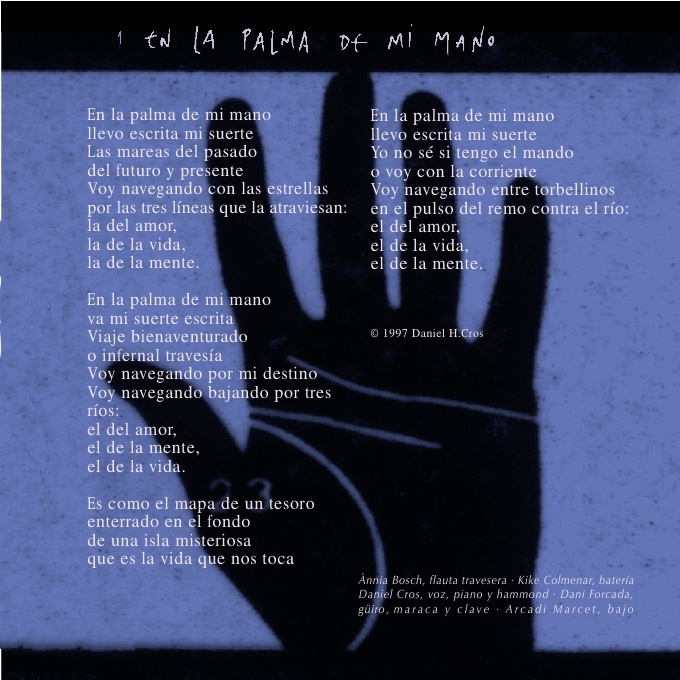 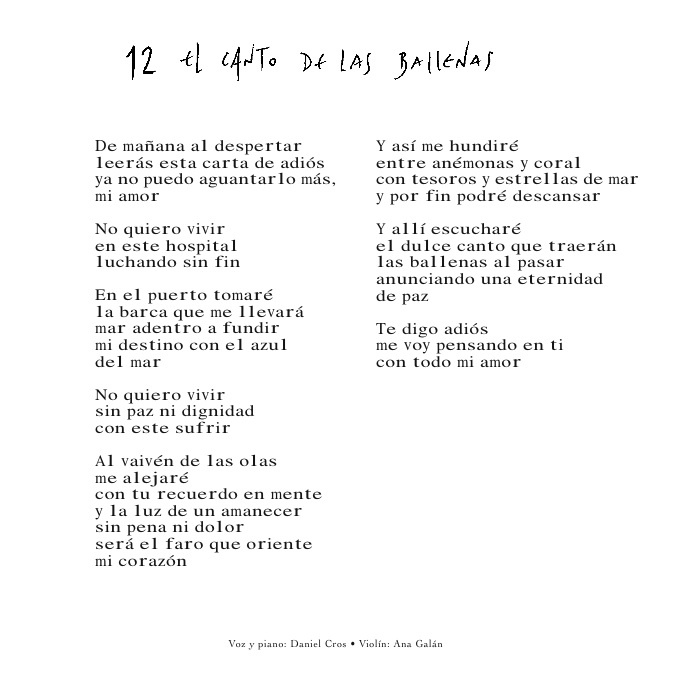 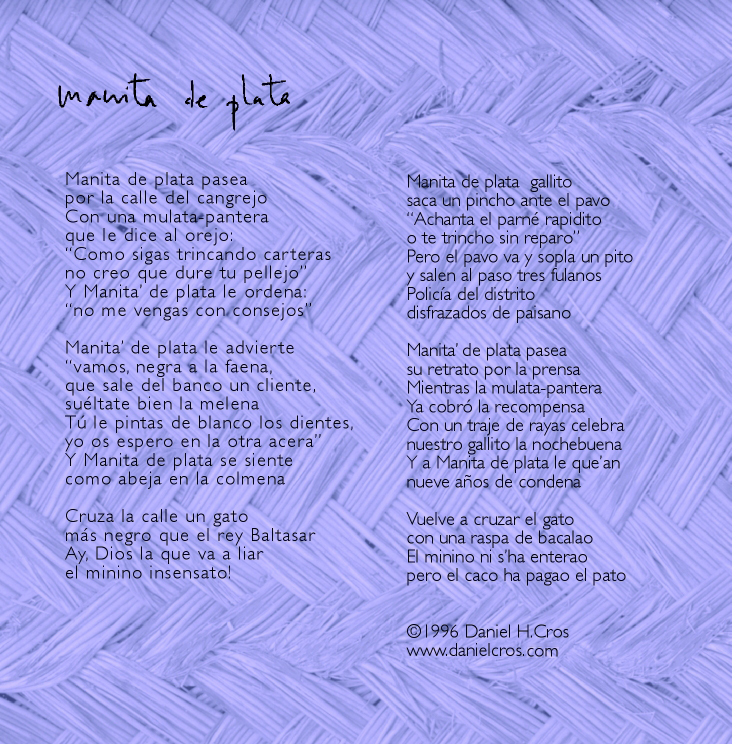 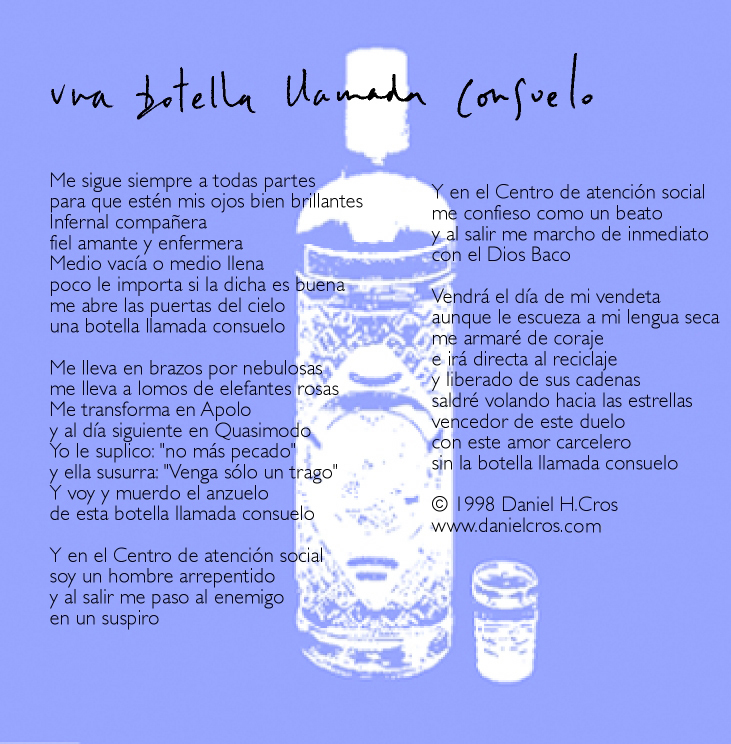 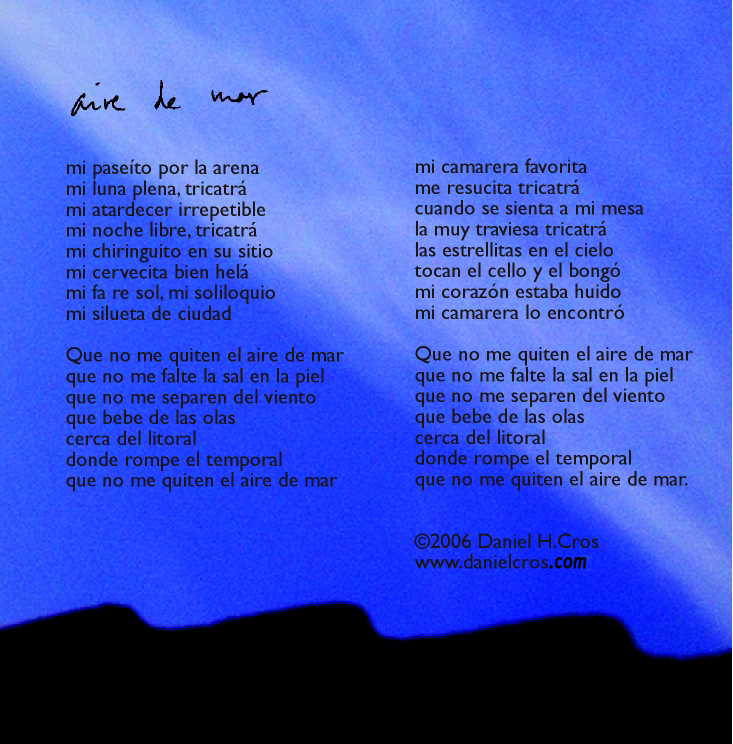 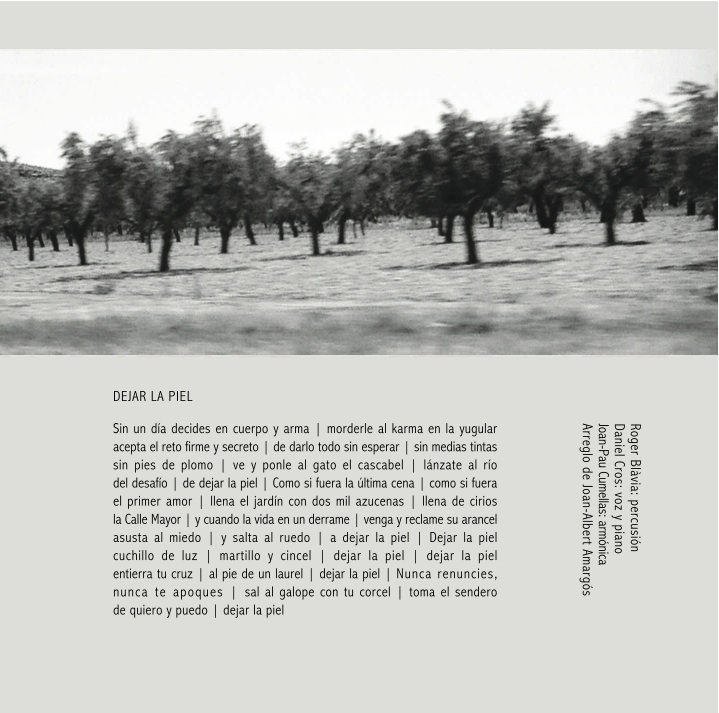 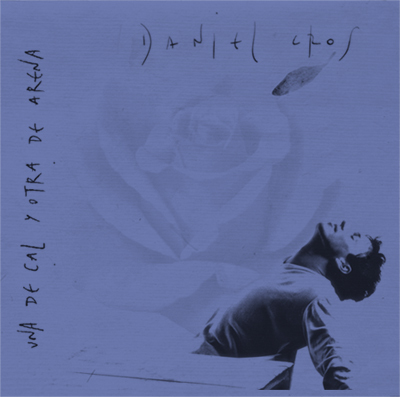 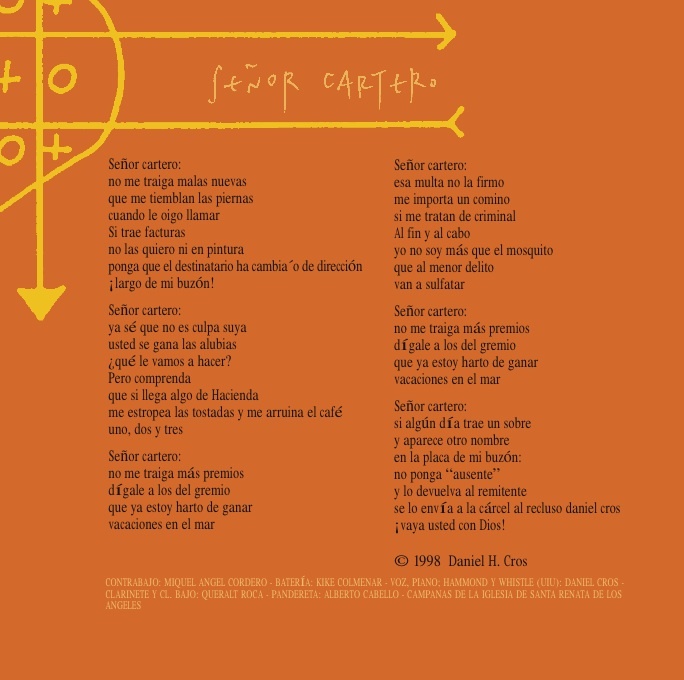 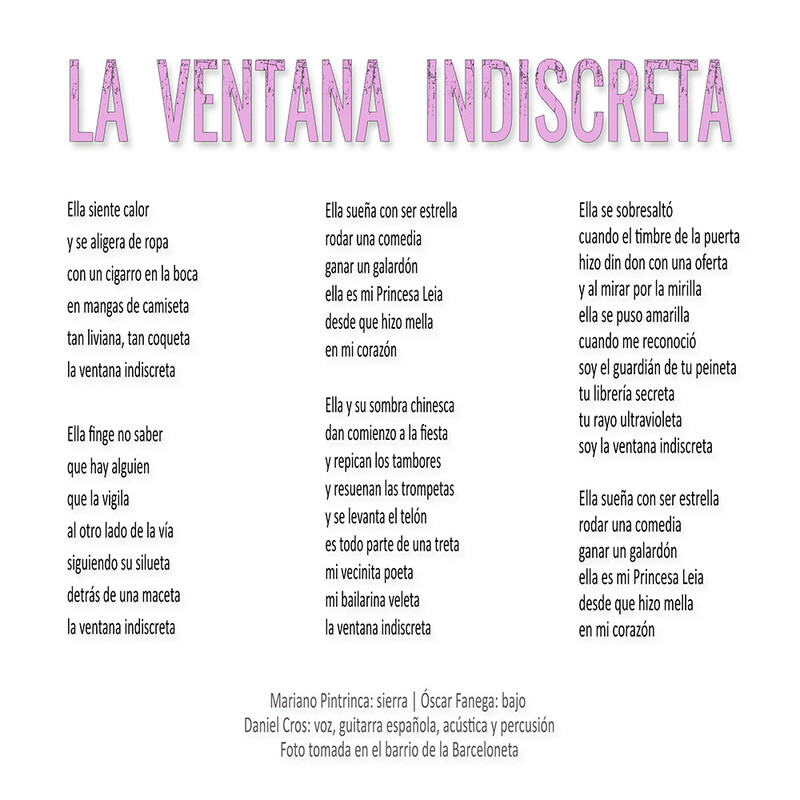 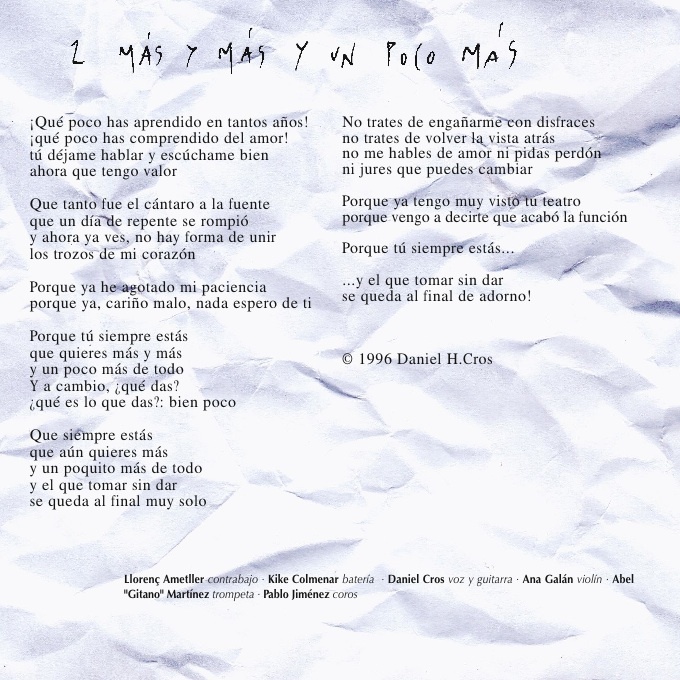 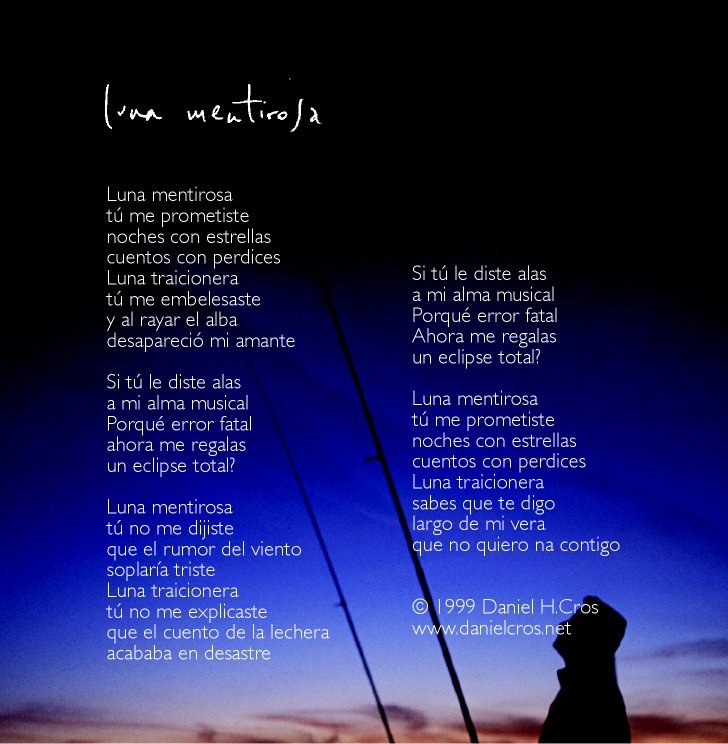 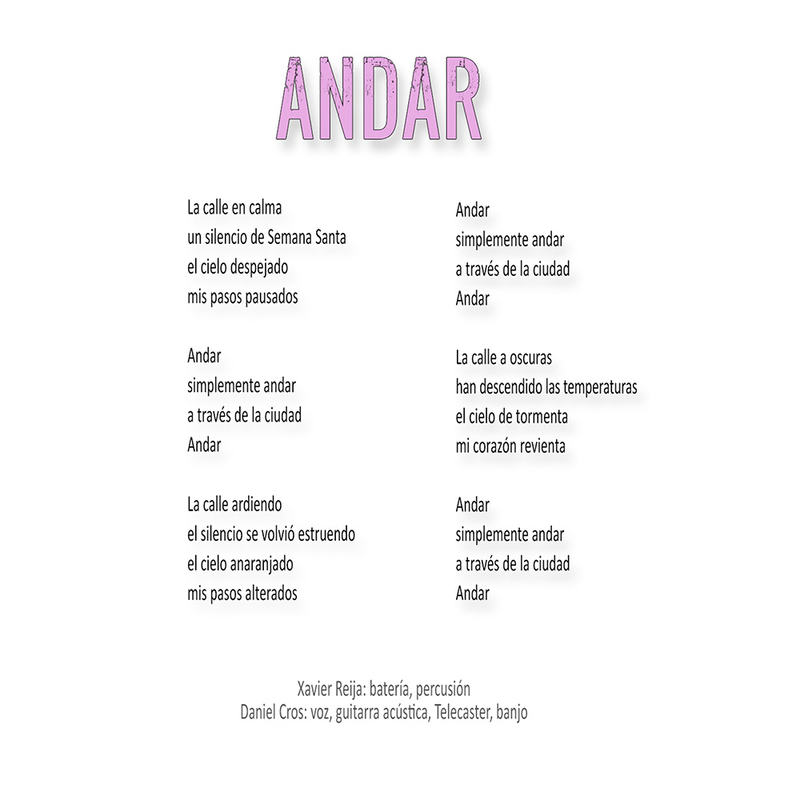 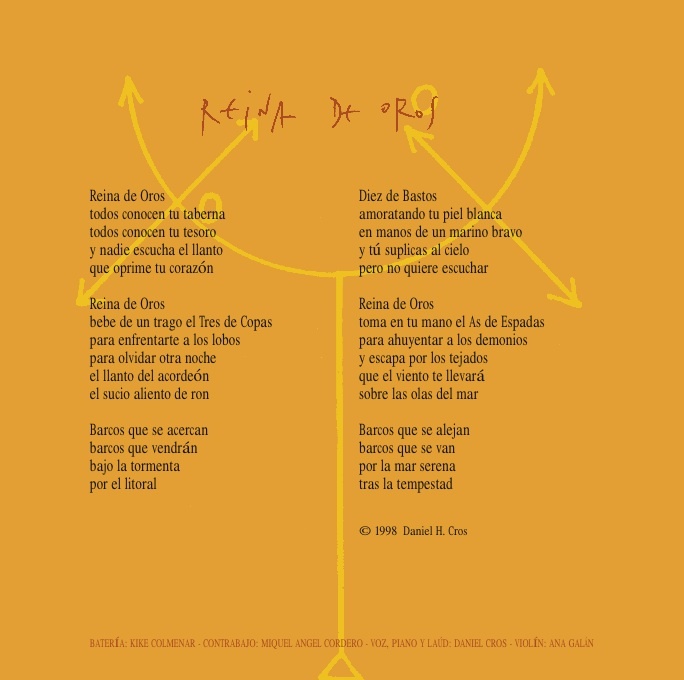 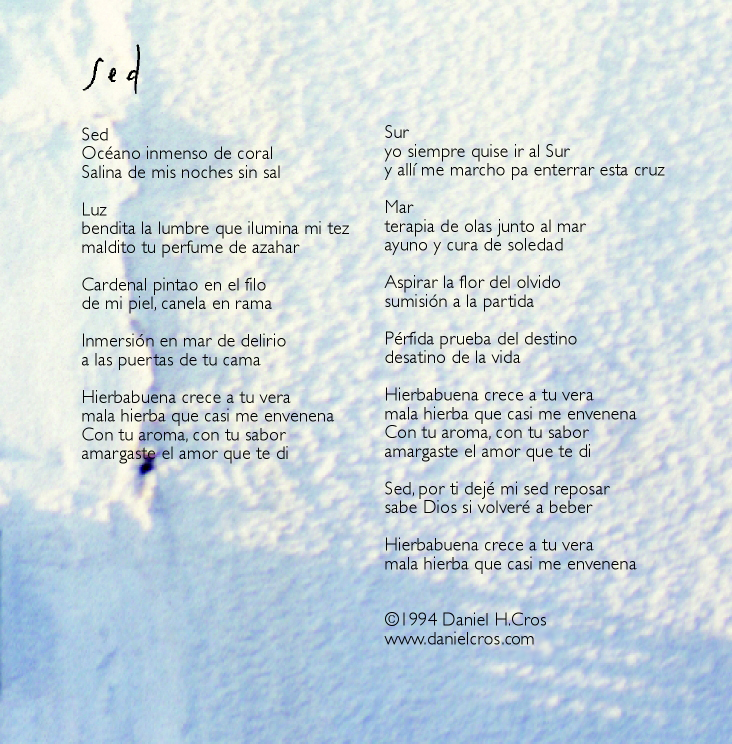 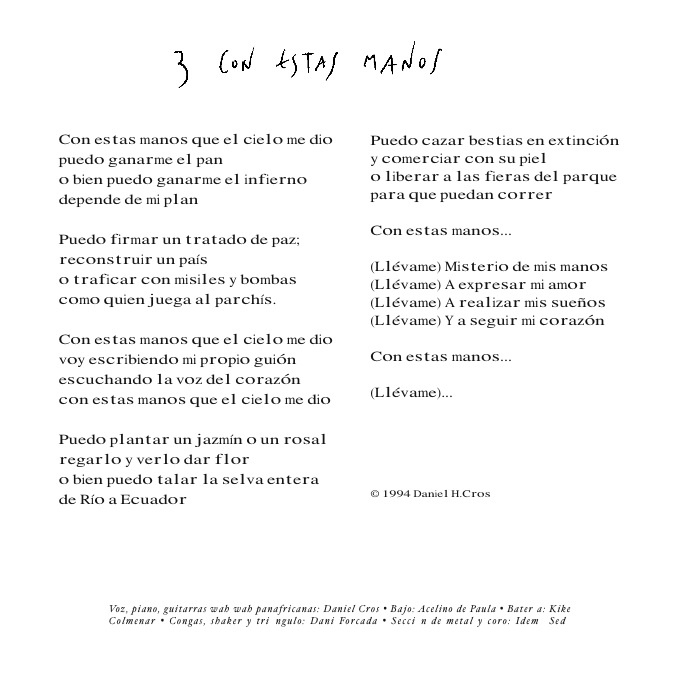 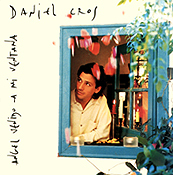 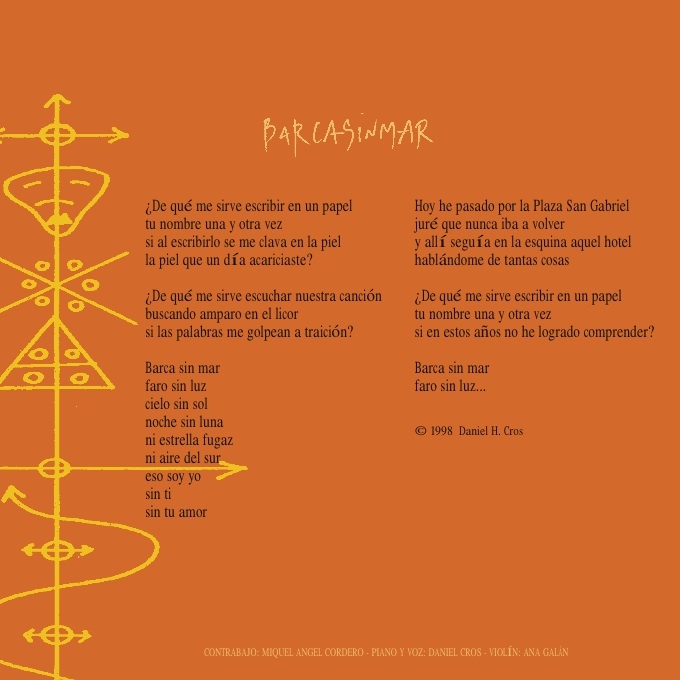 In "Aire de Mar", Daniel's voice -recognized for its own personality and depth -, provides the 13 songs included in the album with high expressivity. 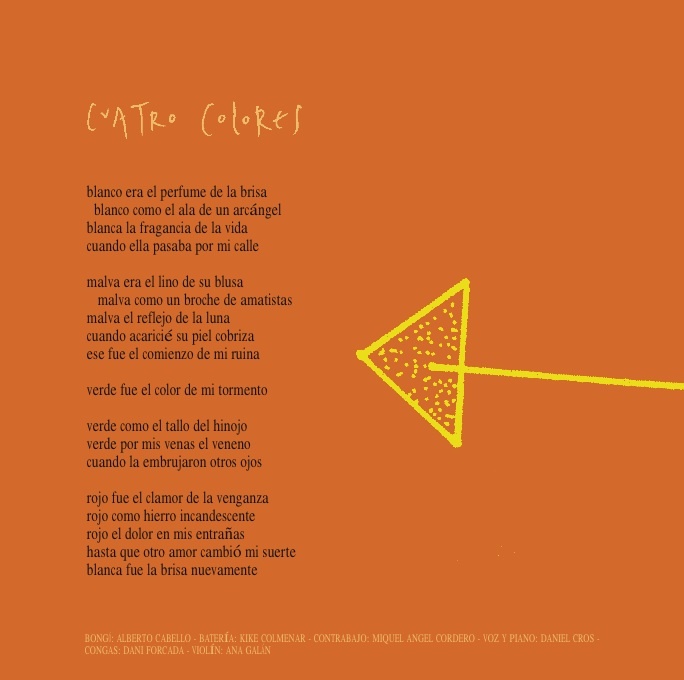 Due to their simplicity, all songs point straight to the heart, within a warm and intimate atmosphere which contrasts with the powerful Cuban band accompaining him. 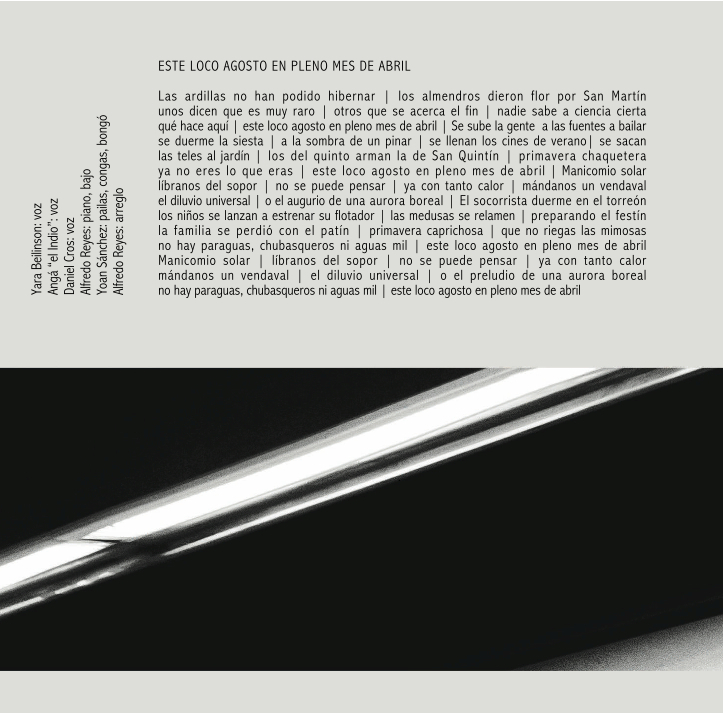 A fresh album which communicates the energy of live performances and puts the artist in the spotlight. 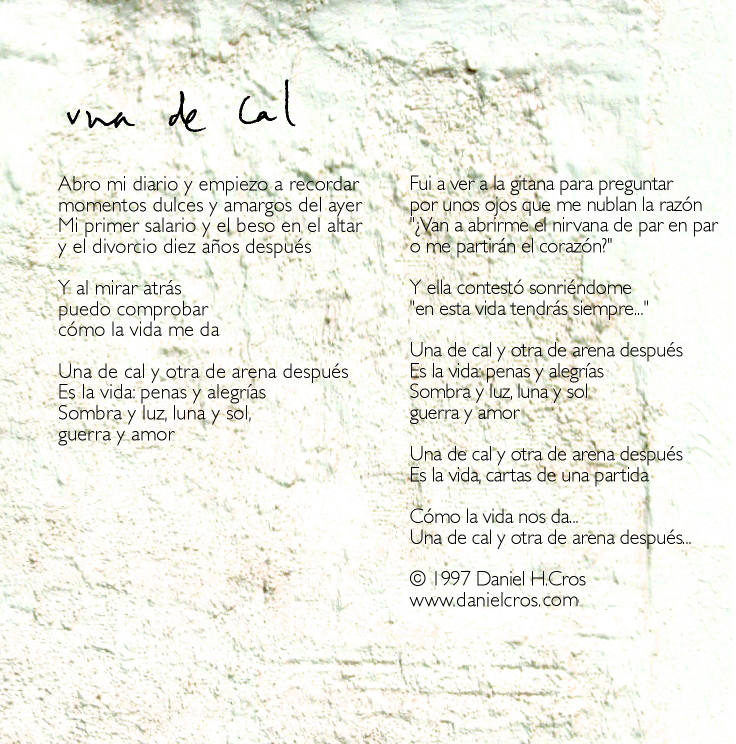 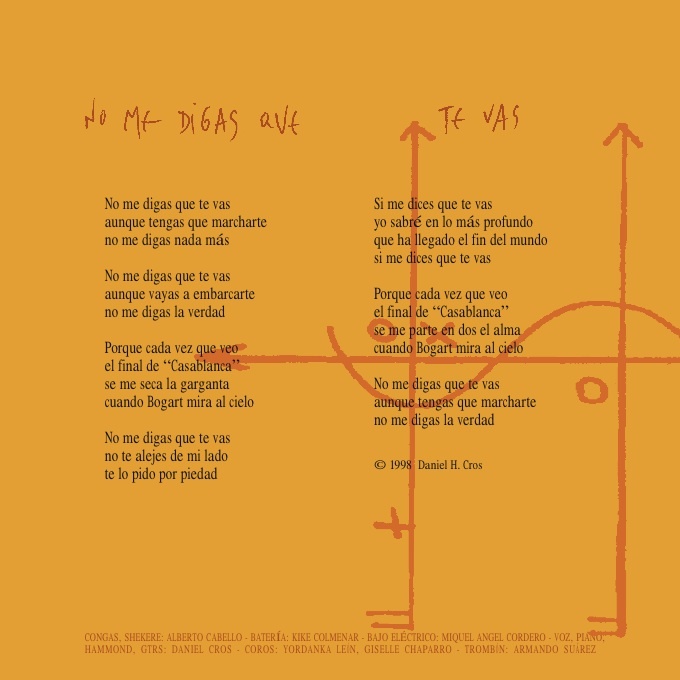 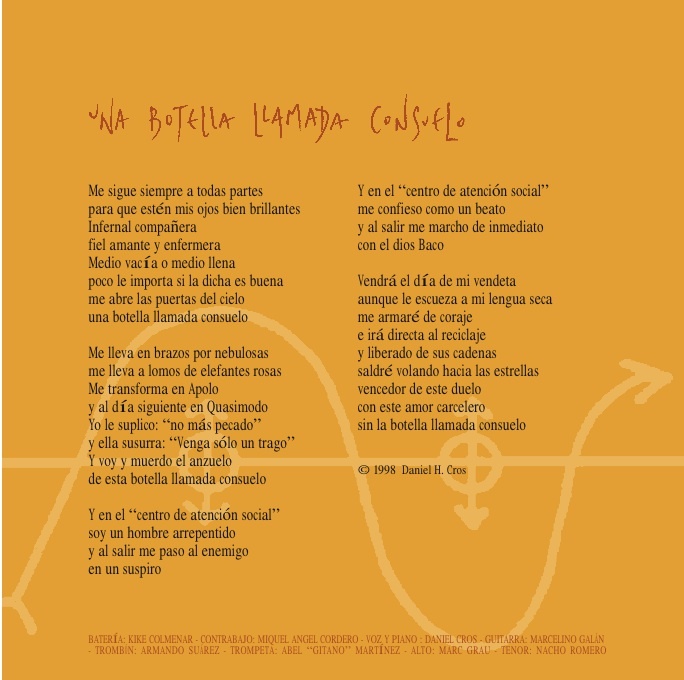 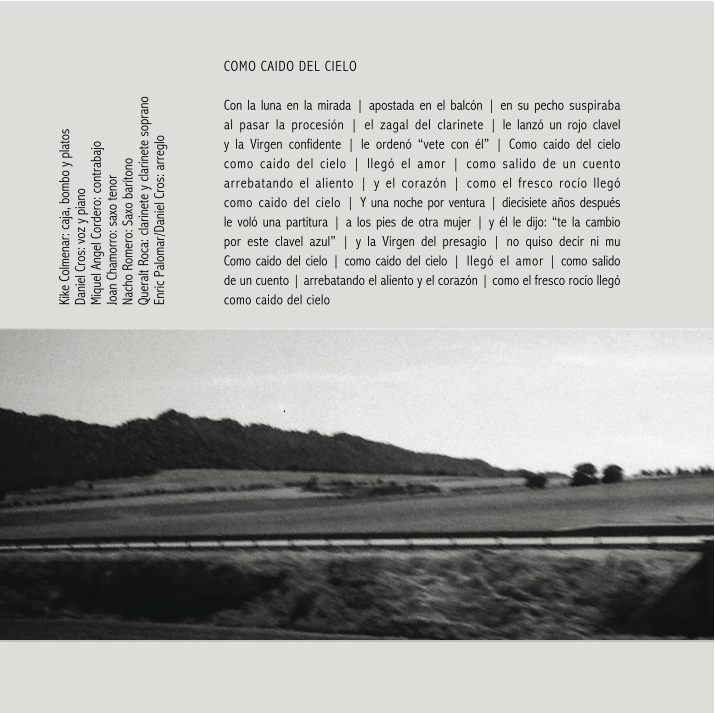 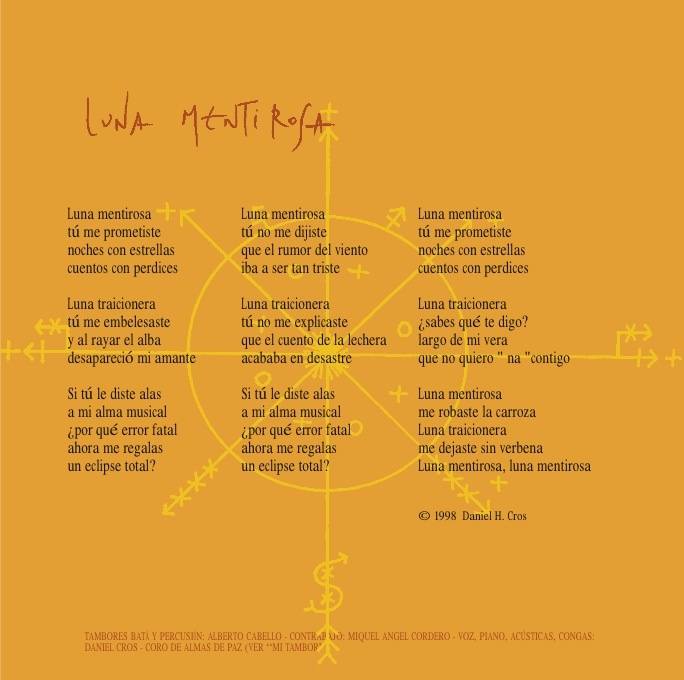 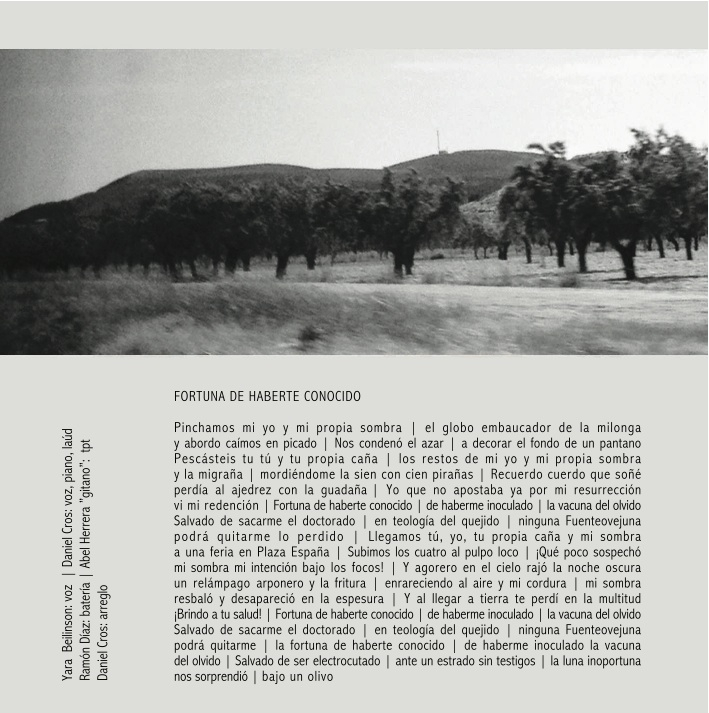 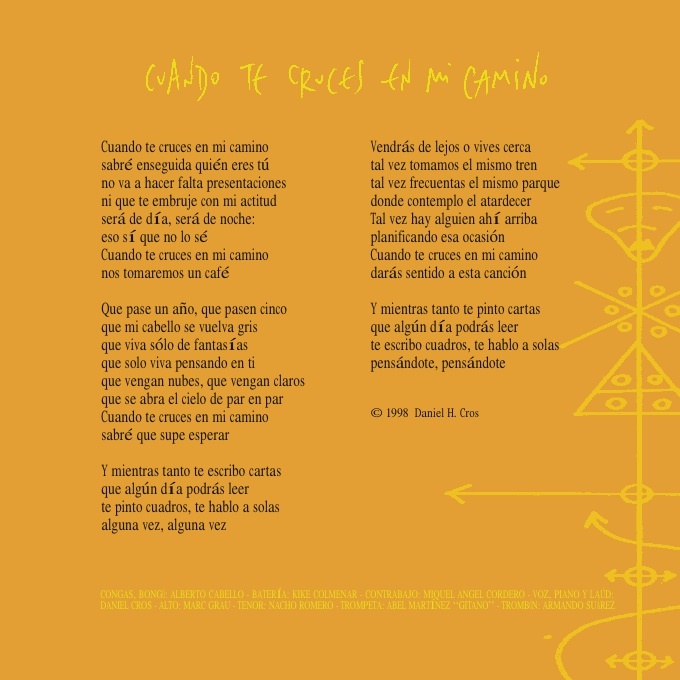 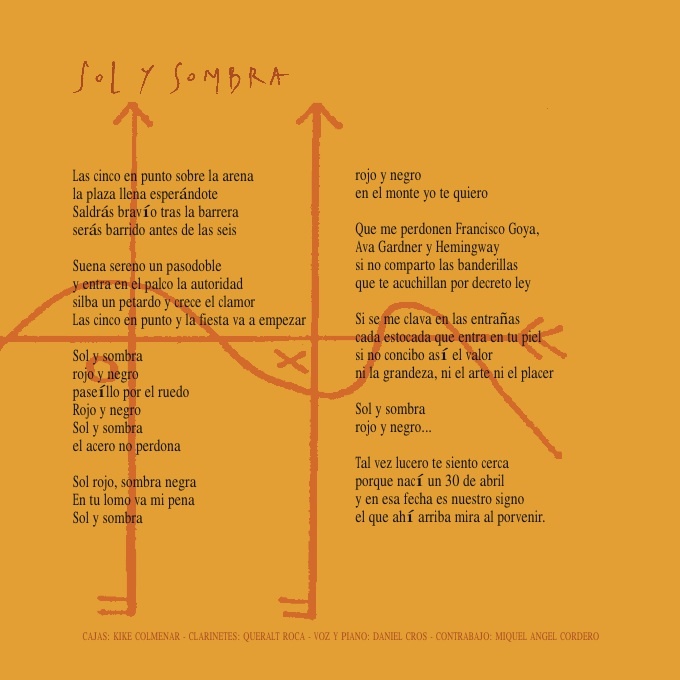 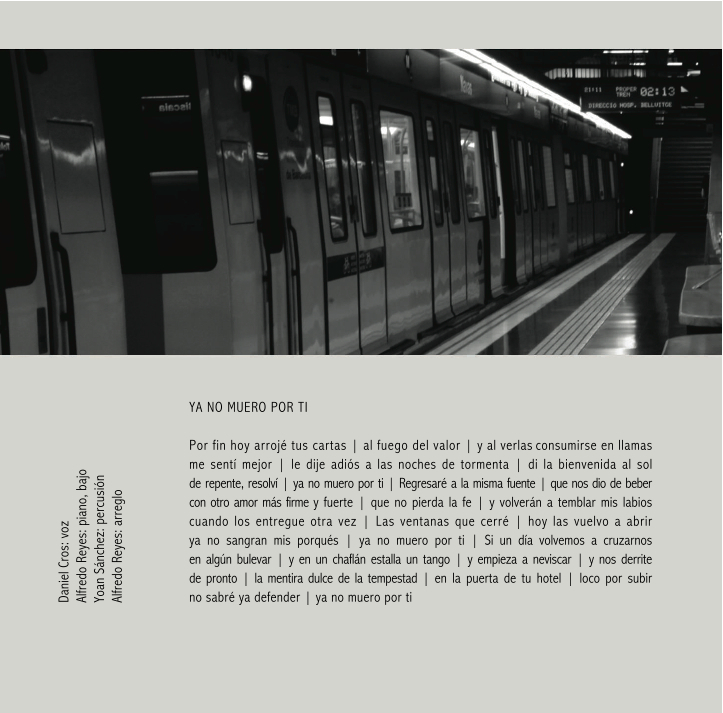 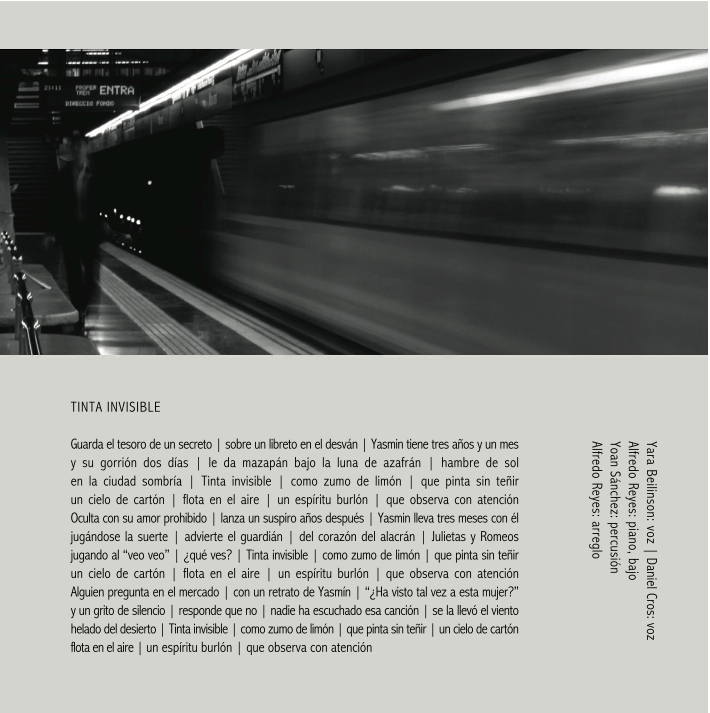 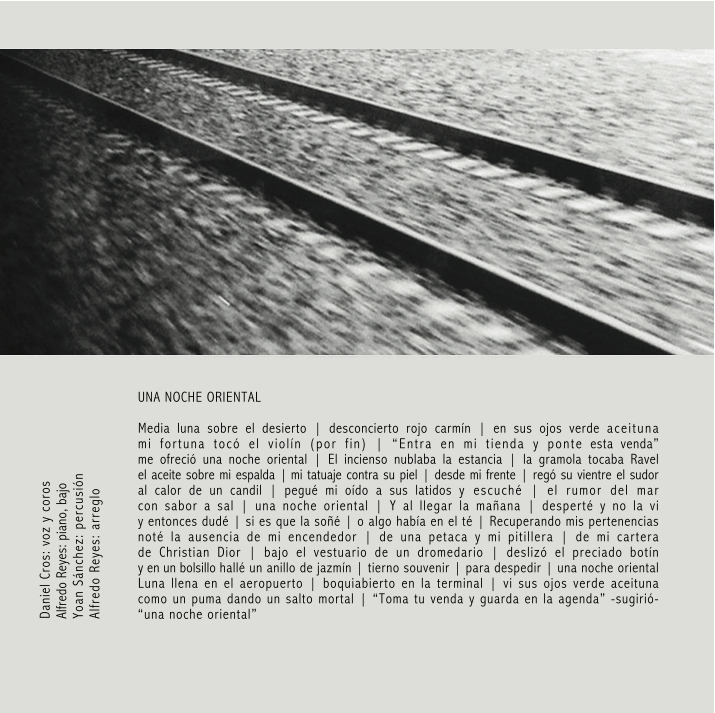 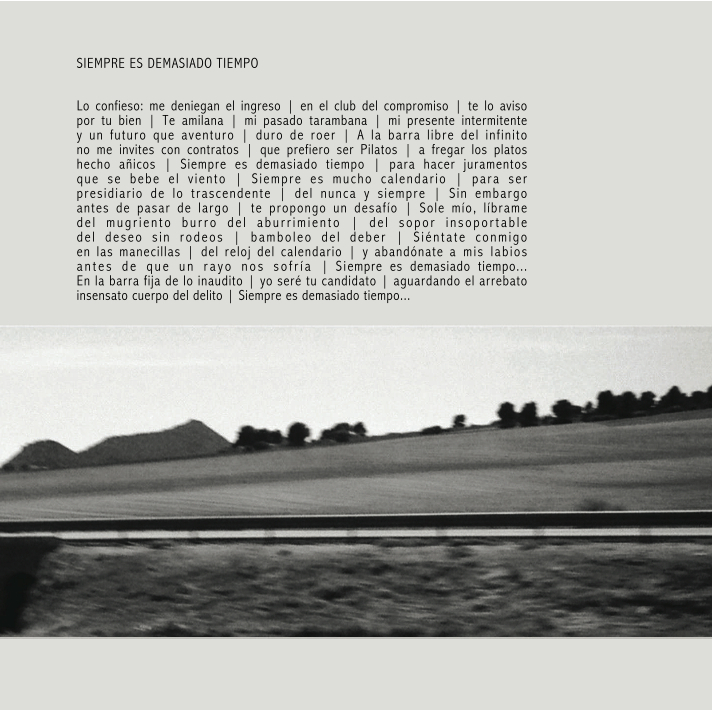 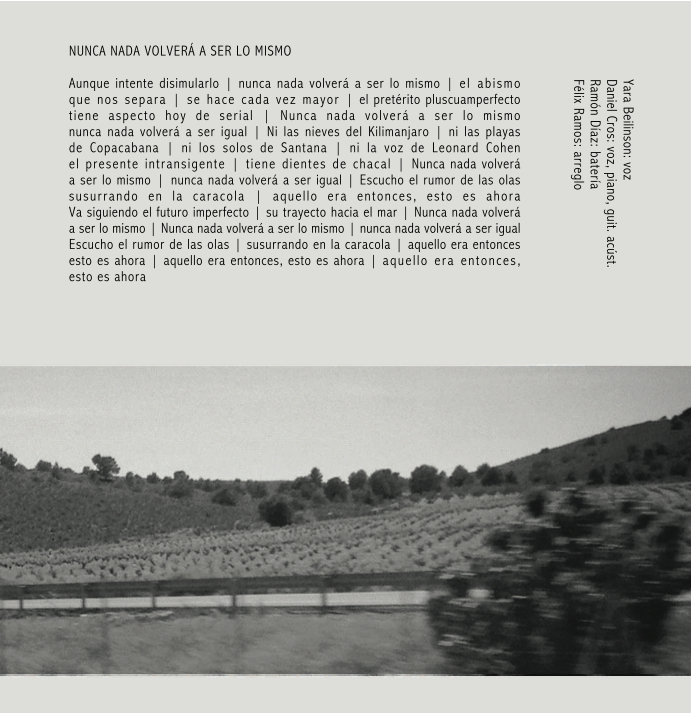 “Una de cal” was my second album which is now being distributed digitally and which I myself recorded at my home studio in Barcelona (Estudis SIlenci) to finally decide it would be the first and last time I would be doing it that way. 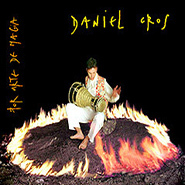 You musicians who have done it, know what I’m talking about. 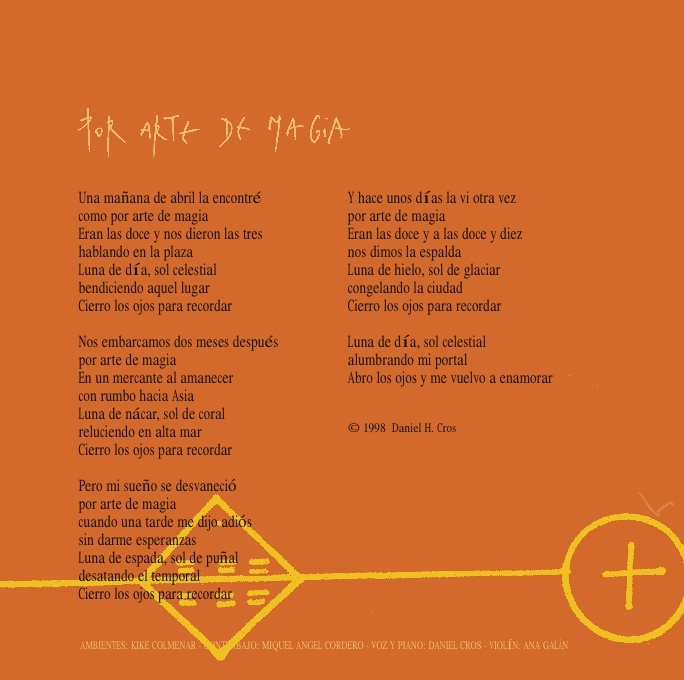 It wasn’t distributed in shops at that time and had no airplay or coverage due to in that period I thought things would happen “By art of magic” (Which happened to be the title of my third album), without having to contact the media. 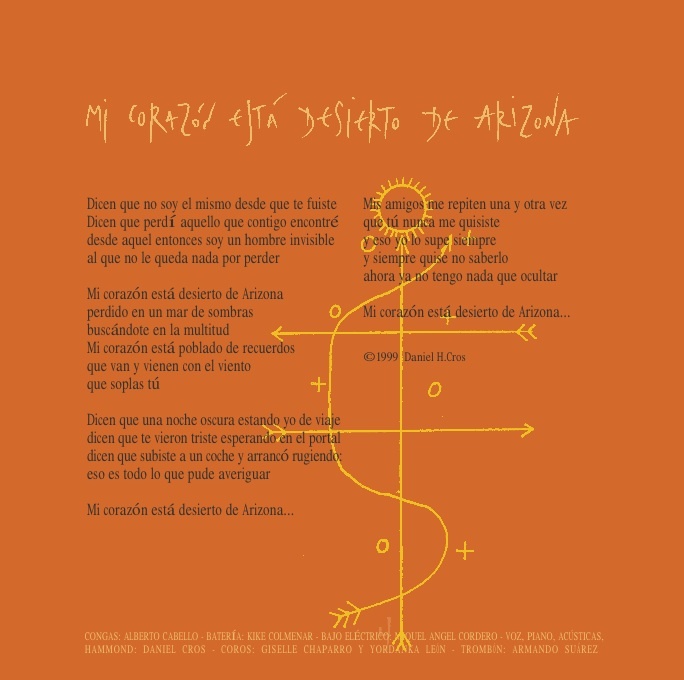 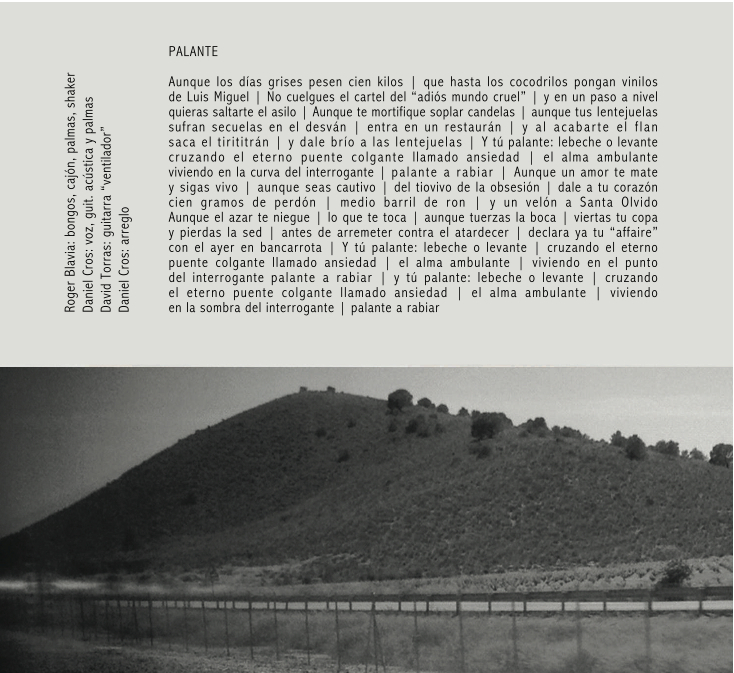 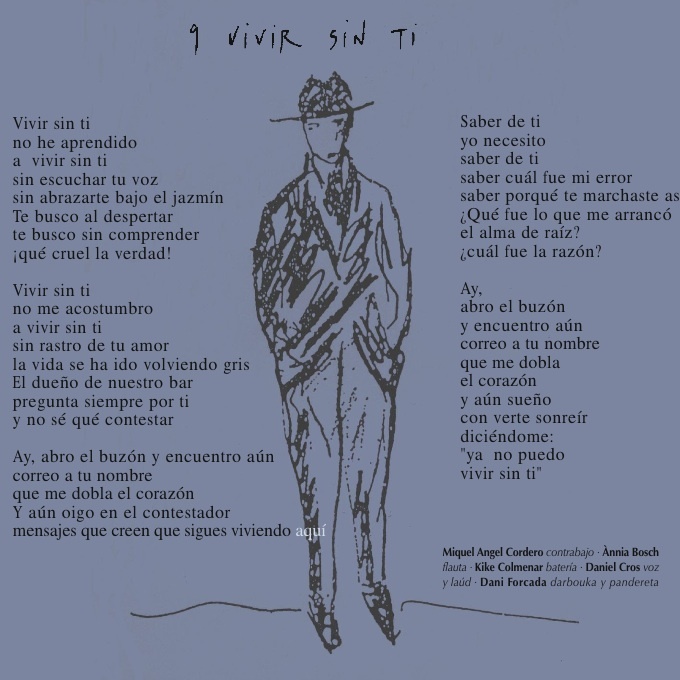 “Angel venido a mi ventana” (The angel that landed out of my window) was an intense, hard, alive experience which I self produced -as the following three albums I have produced until today - with over 20 guest musicians from all different backgrounds to play at Rod’s Music Studio in Barcelona, helped by the brilliant composing and arranging of Enric Palomar (In “Angel”, “Ni contigo” and “El canto de las ballenas”) and the infinite patience of Didier Richard as the sound and mix engineer, I decided to self-release this album after knocking on each and every label’s door at that time in Spain. 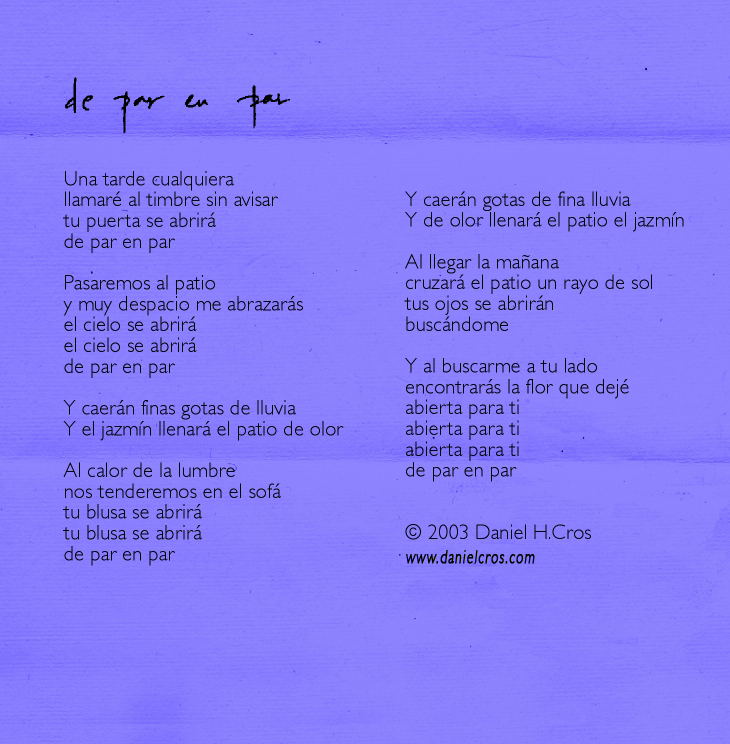 Glad I made it: I learned a lot. 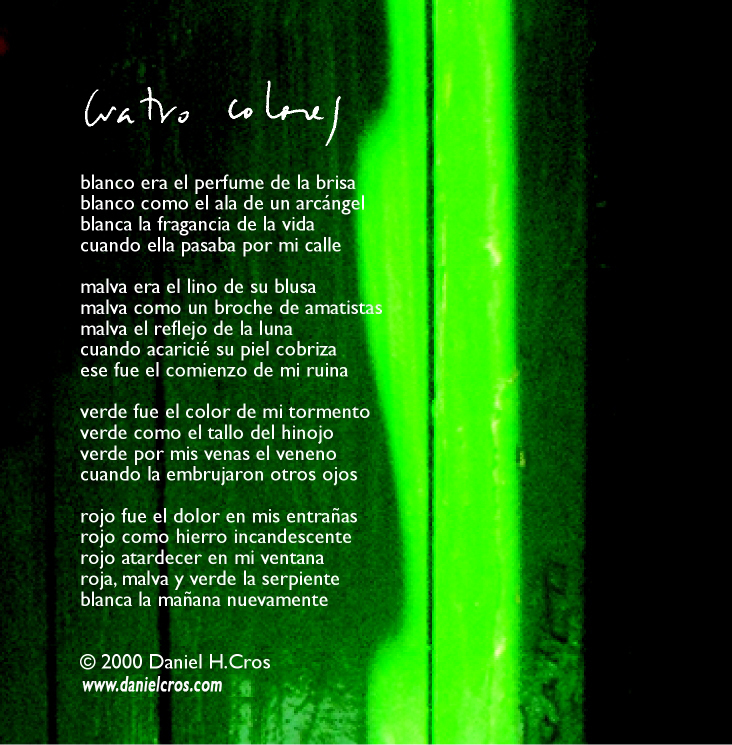 The genres are diverse: there’s latin flavour, ballad, folkloric feel, pop, as free as I was and as I am, I did it my way.